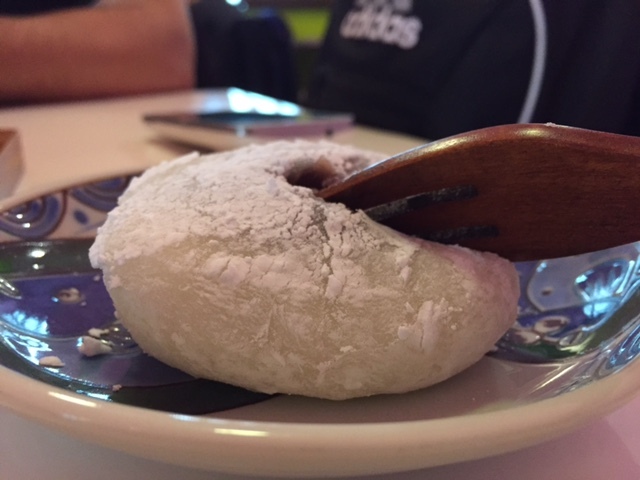 Smart Deli Japanese Lunch is one of our local secrets and we are happy to share it with you. Just make sure to treat it with love. Yes, love. This adorable deli is located in the Northern part of Mitte, just a short walk from either NaturkundeMuseum or Oranienburger Tor U-bahn Stations ( both stations belong to the U6 line). Although Smart Deli also opens for dinner, we feel it is a perfect lunch spot. No harm in going here for dinner, though! As you walk in, make sure to stop and take in the smell and energy of the place. From the bright pink and green wall colors, to the super cool Japanese monster dekal on the main window. The main kitchen, located out front, is open and somewhat chaotic. There’s a sushi bar in the back, as well as a small Japanese deli selling numerous Japanese goods. The menu is somewhat extensive and covers a variety of bento box options as well as rice bowls, udon and soba noodles. The food is fresh and carefully prepared. Home style. Very much like eating at a good Japanese friend’s house. In Japan. They also serve croquettes and pancakes and have a nice selection of teas in drinks. 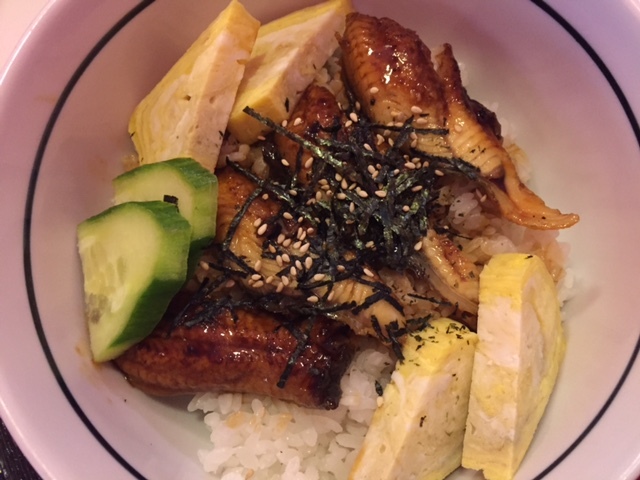 That said, we ALWAYS go for the UNADON (Eel rice bowl). SOOO YUMMY! Very comforting. Like a mother’s kiss. Ask the friendly staff for suggestions! 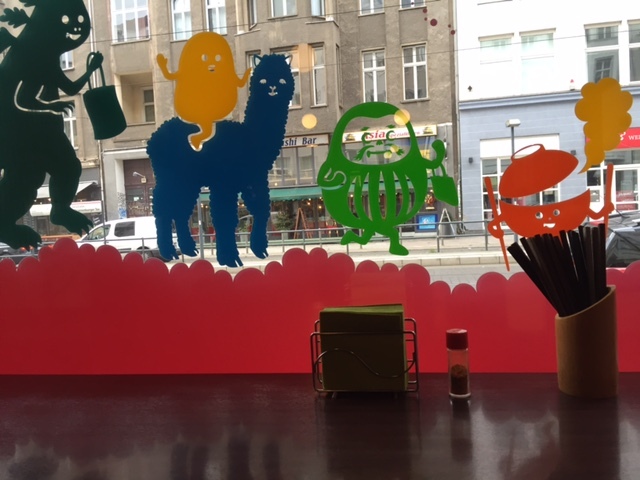 Smart Deli Japanese lunch is a great place for a nice and quick lunch while exploring the northern part of Mitte. Make sure to visit the Natural History Museum right around the corner. It is super old school and fun! Otherwise walk back towards Friedrichstrasse and go on a shopping spree in one of Berlin’s most important shopping areas.